To summarize and assess the effects of dance intervention on global cognition, executive function and memory in older adults. We searched the databases PubMed, Web of Science, Cochrane Library, EMBASE, Clinical Trials.Gov and four Chinese databases (CNKI, CBM, Wan Fang Data and VIP) to identify articles written in English or Chinese and published until April 2018. 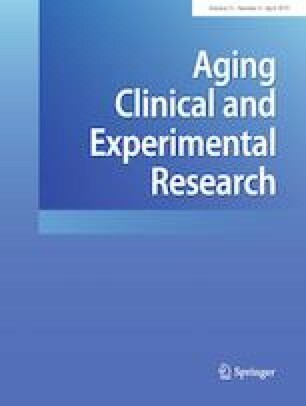 Randomized controlled trials and quasi-experiment were included if they evaluated the impact of dance on cognition, and individuals aged 60 and over. Thirteen studies with a total of 1605 participants met the inclusions criteria. Our primary outcomes of interest are cognitive functions and are categorized into three cognitive domains: (1)Global cognition: meta-analyses for outcome related to global cognition indicated a large effect size. In the subgroup of using MMSE, results indicated a significant effect for dance on cognition [MD = 1.57, 95% CI (0.53, 2.61), p = 0.003; I2 = 62%], in the subgroup of using SCEF, effect sizes was statically significant and no heterogeneity between studies [MD = 33.25, 95% CI (30.94, 35.56), p < 0.00001; I2 = 0%]. (2)Executive functioning domain: meta-analyses revealed that there were no significant differences between the two groups in measures of executive function after the one study with a low-quality score was excluded [SMD = 0.13, 95% CI (− 0.02, 0.27), p = 0.09; I2 = 0%]. (3)Memory domain: quantitative analysis showed that dance may benefit memory function in older adults. However, in our review, dance was more effective for elderly cognitions than exercise may be not support. Our meta-analysis and systematic review suggest that dance may be a safe and effective approach to improve cognitive function in older adults. Xiangfei Meng and Guichen Li contributed equally to this work. The authors have contributed to this review equally and approved the final version of the manuscript and attest that it has not been previously published. The authors declared no conflicts of interest relevant to this article. ((((((“dance therapy”[MeSH Terms] OR (“dance”[All Fields] AND “therapy”[All Fields]) OR “dance therapy”[All Fields] OR (“dance”[All Fields] AND “therapies”[All Fields]) OR “dance therapies”[All Fields]) OR (“dance therapy”[MeSH Terms] OR (“dance”[All Fields] AND “therapy”[All Fields]) OR “dance therapy”[All Fields] OR (“therapy”[All Fields] AND “dance”[All Fields]))) OR (“dance therapy”[MeSH Terms] OR (“dance”[All Fields] AND “therapy”[All Fields]) OR “dance therapy”[All Fields] OR (“therapies”[All Fields] AND “dance”[All Fields]))) OR (“dancing”[MeSH Terms] OR “dancing”[All Fields] OR “dance”[All Fields])) OR (“dancing”[MeSH Terms] OR “dancing”[All Fields])) AND (((((((“cognition”[MeSH Terms] OR “cognition”[All Fields] OR “cognitions”[All Fields]) OR (“cognition”[MeSH Terms] OR “cognition”[All Fields] OR (“cognitive”[All Fields] AND “function”[All Fields]) OR “cognitive function”[All Fields])) OR (“cognition”[MeSH Terms] OR “cognition”[All Fields] OR (“cognitive”[All Fields] AND “functions”[All Fields]) OR “cognitive functions”[All Fields])) OR (“cognition”[MeSH Terms] OR “cognition”[All Fields] OR (“function”[All Fields] AND “cognitive”[All Fields]) OR “function, cognitive”[All Fields])) OR (“cognition”[MeSH Terms] OR “cognition”[All Fields] OR (“functions”[All Fields] AND “cognitive”[All Fields]) OR “functions, cognitive”[All Fields])) OR ((“brain”[MeSH Terms] OR “brain”[All Fields]) AND (“physiology”[Subheading] OR “physiology”[All Fields] OR “function”[All Fields] OR “physiology”[MeSH Terms] OR “function”[All Fields]))) OR (“memory”[MeSH Terms] OR “memory”[All Fields]))) AND ((((((((“aged”[MeSH Terms] OR “aged”[All Fields] OR “elderly”[All Fields]) OR (“aging”[MeSH Terms] OR “aging”[All Fields])) OR (“aging”[MeSH Terms] OR “aging”[All Fields] OR “ageing”[All Fields])) OR (“aged”[MeSH Terms] OR “aged”[All Fields])) OR (“aging”[MeSH Terms] OR “aging”[All Fields] OR “senescence”[All Fields])) OR (“aging”[MeSH Terms] OR “aging”[All Fields] OR (“biological”[All Fields] AND “aging”[All Fields]) OR “biological aging”[All Fields])) OR older[All Fields]) OR (older[All Fields] AND (“adult”[MeSH Terms] OR “adult”[All Fields] OR “adults”[All Fields]))).